Madrid launches a pioneering European program for measuring the emissions of the vehicles in real time. An infrared, a mirror and a camera, all connected to a computer where data is dumped in real time. It is very simple and easy to install it is also undetectable by the vehicle or in traffic, this machine allows us to measure the polluting gases emitted by the vehicle that passes through the road or highway where this is installed, with no possible tricks or manipulations of the switchboard to pass by. The ideal spy to a really know how contaminated a city is and what part of its car park is the main culprit. 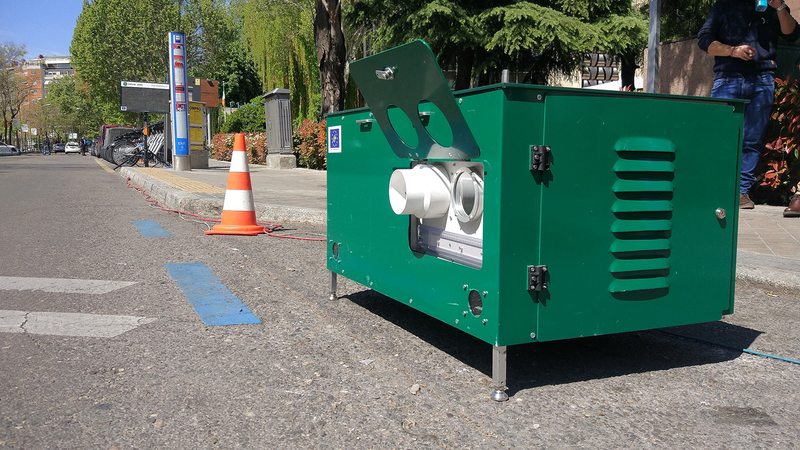 Madrid is the city that launched this European project called Life Gystra, an optical remote sensing system that allows us “to determine the average concentrations of different pollutant gases and particles produced by each vehicle in normal driving”. Its goal is to develop a new sustainable mobility policy based on empirical information on emissions from road traffic. The General Directorate of Traffic (DGT), the Center for Energy, Environmental and Technological Research (Ciemat) and Opus RSE (the concessionaire of this technology in Europe and Cartif) participate in it. The use of this tool is much more common in the US and was responsible for uncovering the dieselgate. Through its use, the University of Denver was able to raise the alarm, due to differences in the pollution data that Volkswagen diesel vehicles reported in the laboratory and in real driving. Such was the discrepancy (and the impossibility of explaining it) that the automobile ended up confessing that it installed a software that manipulated the NOx emissions of its diesel engines when it detected that they were on the test bench to achieve homologations in the US. "The Volkswagen case uncovered a situation of generalized discrepancy in the measurements and put the focus on the truly important: what the vehicles emit in real traffic," said Manuel Pujadas, head of the Pollutant Emissions Unit in Ciemat, the Gas pollutants in vehicles and environmental policies: the potential of remote sensing, organized in the representation of the European Commission in Madrid in which this system was presented. In this line, the European Union has approved a new measurement system, called WLTP, which aims to further adapt the data collected from polluting emissions to those produced in real traffic. The device is installed in just 30 minutes on any road, urban or interurban. When the vehicle passes by the infrared, the system measures CO, CO2, hydrocarbons, NOx and particles, as well as speed data. In addition, a camera takes a photo of the license plate to be able to introduce antiquity, engine type and other details in the sample. Scans up to 1,000 vehicles per hour, of any kind, be it passenger cars, SUVs, vans, trucks or buses. This pioneering program gas a budget of 1.5 million euros, of which 60% comes from European funds and will be in operation during the nect 2 years in the capital. "It is the longest program in use, that has ever been in Europe", explains Javier Buhigas, head of Head of Consulting at OPUS RSE. 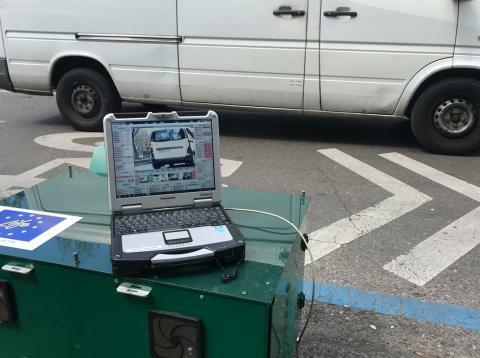 "There will be 2 scanning points that will be instaled on a rotating basis, on all types of roads and scanning all types of vehicles, to make this sampling" he says. "The system allows realizing a realistic map of how this really impacts on pollution". he explains. "This way, administrations have reliable data to design measures that really attack those responsible for pollution" he says. The director points out that "the inhabitants of cities where traffic restriction measures have been approved to fight against high pollution live in a situation of great uncertainty, they do not know what is going to happen, what new rules they will find tomorrow about their vehicles". For this reason, Buhigas advocates having the close collaboration of the city Council and the Community of Madrid in this project. "The real data will allow us to generate policies that do not discriminate or are based on random measures. The can be more fair and appropriate to reality" he explains.